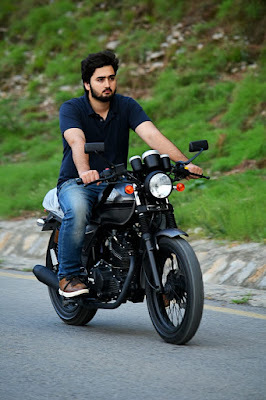 Review on Hi Speed Infinity "Cafe Racer"
People in Pakistan always hunt for cafe racer motorcycles, they buy heavier displacement bikes then modify them into cafe racer shape. In this situation, they need a lot of money including the price of the bike just like Suzuki Gs-150. People buy GS-150 in 1 Lac 50,000 and again they spend more money to make it in their wanted shape, still, there are some things that cannot be done as their wish. So, why don't go for the thing that is already in wanted shape? let me tell you the specs of Infinity SR-150 then you will decide either you buy it or not. First, it's neither a Chinese product nor a replica, although it's made in China, its a product of zongshen. Zuo Zongshen, who had experienced childhood in destitution, established the Zongshen organization in 1992.Today, the Zongshen Group comprises of 52 completely possessed or part-claimed backup organizations. The Zongshen aggregate has more than 18,000 representatives and the aggregate resources or worth more than 4 billion yuan. It is one of the five biggest cruiser producers in China. They are by and by in associations with Harley Davidson and Piaggio. In 2006, author Zuo Zongshen has profiled in the Discovery Channel and CBC co-delivered narrative China Rises as an individual from China's nouveau riche. In 2007, Zongshen put CNY 300 million into another innovative work focus in Chongqing, as a feature of their "Violent wind" program. The program is composed is delivered one of a kind innovation and plans for Zongshen's new models, and separate the brand from a focused domain of relatively indistinguishable models. In 2012, Zongshen sent out approximately 30% of its bike generation. It re-marks its items in numerous nations and its items can be found in the lines of numerous retailers and wholesalers in the United Kingdom, Spain, Belarus, Russia, Argentina, Colombia, and Brazil. Zongshen Group likewise claims Zongshen PEM, a Canadian backup enrolled in Vancouver that offers bikes, e-bicycles, and electric bikes toward the North American market, they make OEM (Original Equipment Manufactured) parts for Honda. They are sending out this motorbike in Pakistan the same as in different nations. and 10.0 NM torque @ 7500Rpm. Its an OHV (Overhead Valves) Engine. This bike can achieve 110 Km/h of speed. 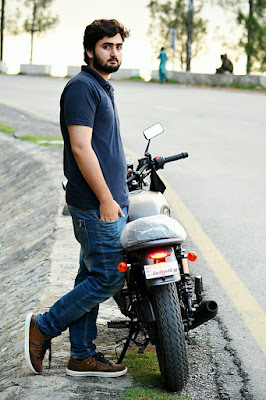 It has a traditional carburetor PZ-30 like regular motorcycles, due to dual spark plug technology fuel burns more efficiently so, the bike gives 40 to 45 km to a litter. 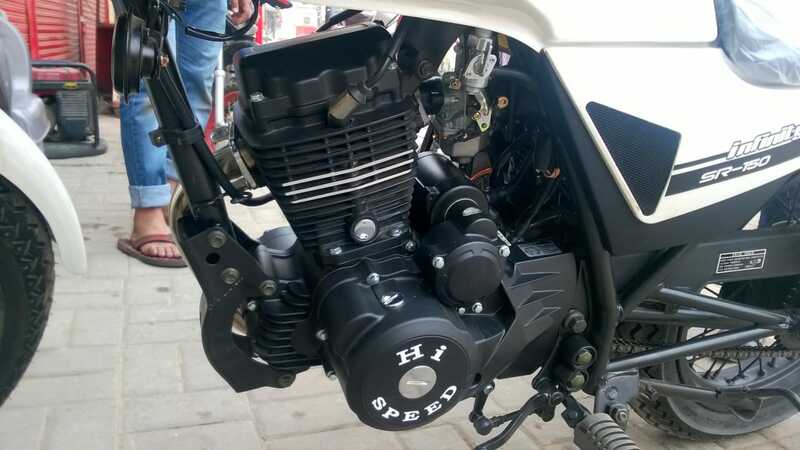 It has 15 litters of the fuel tank capacity which is not seen in any regular motorcycles. 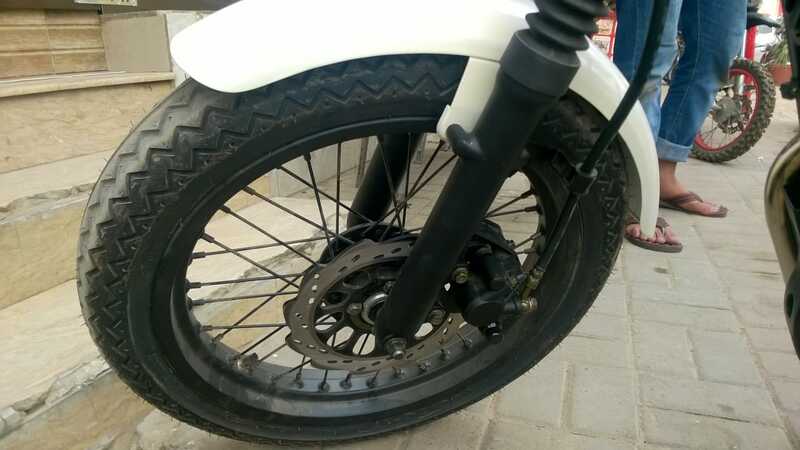 Braking is enough for this bike. In three different modules, Speedometer, Tachometer, Fuel Gauge, Gear Position Indicator, turn signal indicator. On back 120-70/17, on the front, 110-70/17 Street tire's gives better road grip. There are a lot more things to tell like Retro style Indicators, 5 Speed Return Shift Gear Box, beautiful side mirrors. 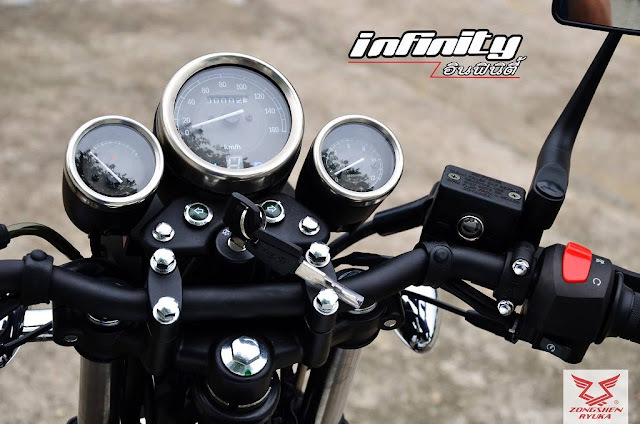 BlOOGISM - Passion is the genesis of genius: Review on Hi Speed Infinity "Cafe Racer"